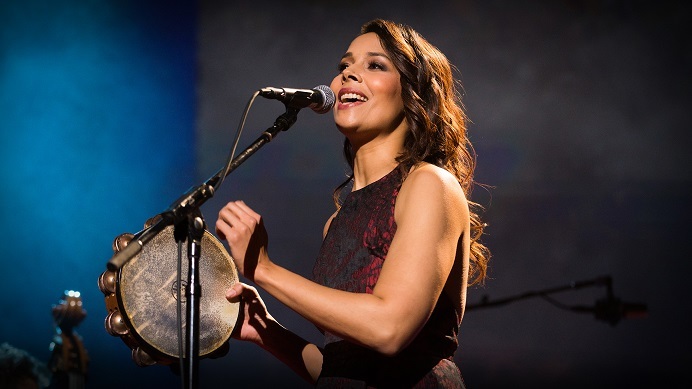 Fasten your seatbelts as Music Network presents Grammy award-winning singer and multi-instrumentalist Rhiannon Giddens and Italian jazz maestro Francesco Turrisi on a musical voyage of discovery from Africa and the Middle East across to Europe and the Americas. on their first tour of Ireland. Following Giddens’ debut album release, the singer’s star continues to rise with US TV performances on The Late Show and The Tonight Show, and winning the Steve Martin Prize for Excellence in Bluegrass and Banjo. Dubbed the musical alchemist, Francesco Turrisi’s lyrical, culture-bridging collaborations include early music, Balkan jazz and contemporary ensembles as well as performing with such luminaries as Bobby McFerrin, Dave Liebman and flamenco master Pepe el Habichuela. Please note that tickets for this show have been selling really well, so please avoid disappointment and book soon by clicking here! 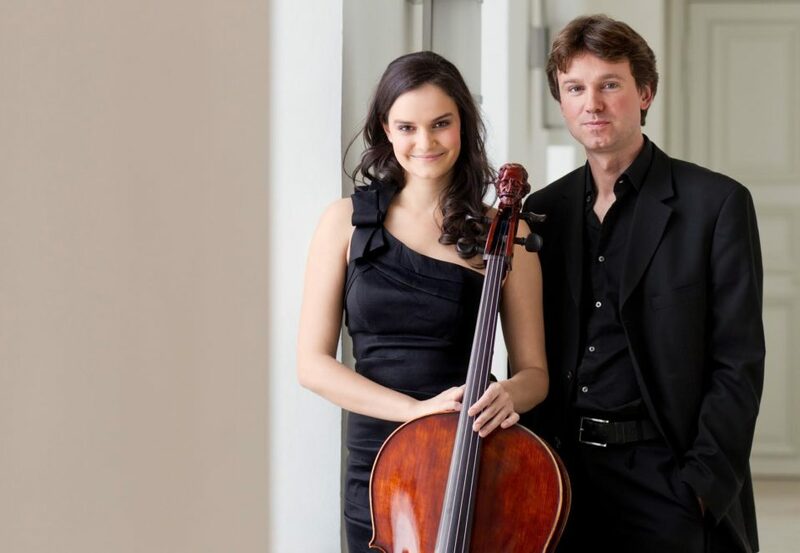 The RCC, with support from Donegal County Council and the Arts Council of Ireland, is delighted to present another programme full of highlights in Spring 2019. Recipients of our monthly RCC newsletter received and exclusive preview of the programme, which includes exhibitions, talks, festivals, concerts and much more, earlier this week. If you would like to be first to received all the latest news from the RCC, why not sign up to our newsletter. 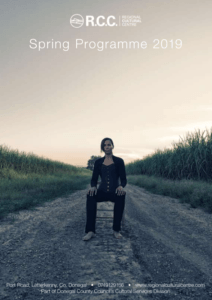 To download a pdf version of the full RCC Spring Programme 2019 pdf, click here. 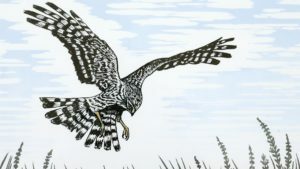 Ramelton-based artist, Shelagh Dwyer officially opens her latest exhibition, Peregrinations: Hand-printed lino cuts of birds and wildlife, this Friday, February 15, at 7.30pm in the RCC and all are welcome! The exhibition includes new limited edition prints based on animal life Shelagh encounters on her walks and travels around Donegal and abroad. Shelagh enjoys exploring the different textures and tones you can create with this form of printmaking. 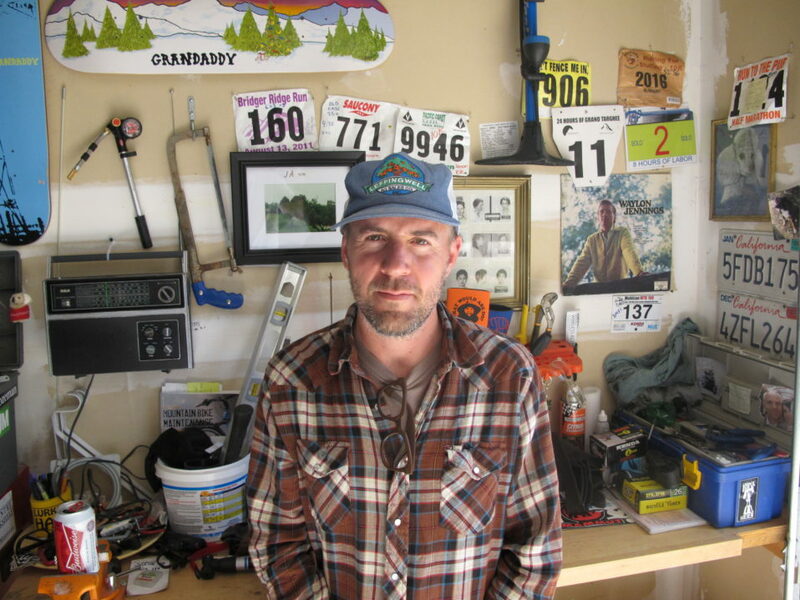 The exhibition will be on display until March 2. Mary Haggan – Water in Art (February 5-March 9): This new exhibition by Donegal-based artist and author Mary Haggan is about water. Water is featured in each scene to highlight how commonplace it is in art. The impressionist movement focused on water as its main theme showing light and reflection with the use of big brush strokes like Monet and Renoir. On Saturday, February 23, the RCC, in association with Loft Letterkenny and Donegal Music Education Partnership, presents an evening of Donegal’s best up-and-coming bands – Sheerbuzz, Happy Out and Tank Engine. 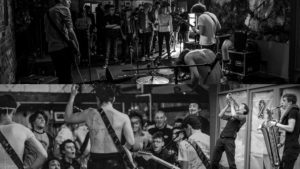 Donegal four-piece indie alt-rock band Sheerbuzz are a high energy, highly skilled group with years of experience in writing and performing original music. Having cut their teeth playing bars, parks, festivals and anywhere in between, The post-indie rock trio Happy Out have chiseled themselves into a force to be reckoned with in the Donegal/Derry scene. Tank Engine is a brasshouse collective band from Inishowen with baritone and alto sax, trumpet and drums which brings you well-known songs and dance anthems like you’ve never heard before. This is an all ages non-seated concert. Strictly no alcohol. The show begins at 7pm. Admission on the night is €5, but as presales have been very good, booking is highly-advised!